Not looking for fresh flowers? Give the gift of gourmet or a handmade wreath! If you are looking for Kosher food in your gourmet you can leave a comment in your order, we are more than happy to substitute. If you have any other questions please call our store at 610-664-7352, our talented design staff will help you get exactly what you are looking for! 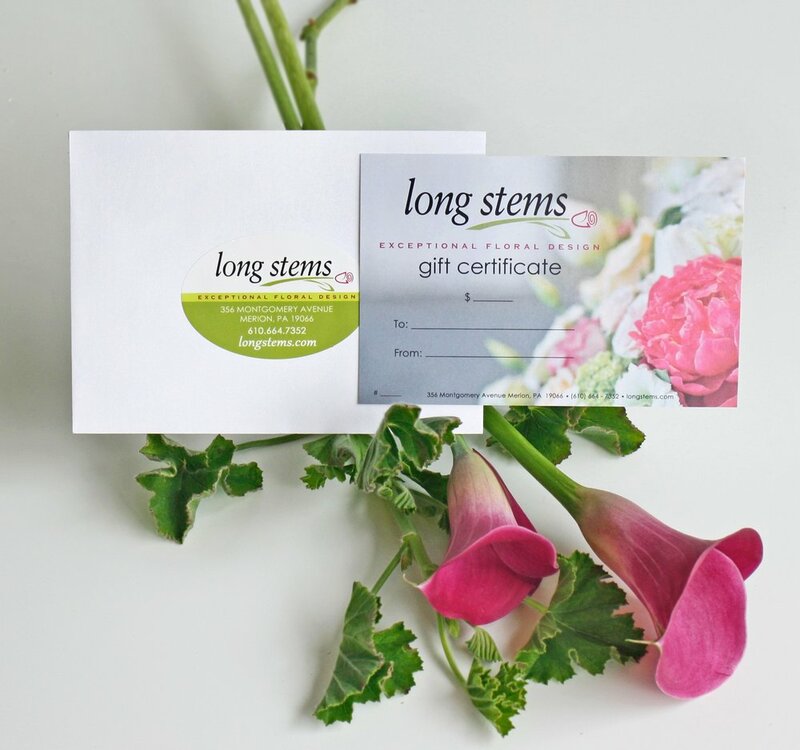 Long Stems delivers gifts to Merion, Penn Valley, Villanova, Philadelphia, Drexel Hill, Wynnewood, King of Prussia, Valley Forge, Exton, West Chester, Newtown Square, Narberth, Haverford, and so many more. With Long Stems you are guaranteed to receive fresh and high quality gourmet and produce delivered daily to the Greater Philadelphia Area. Long Stems is committed to providing the finest gourmet gift baskets right to your door, daily!